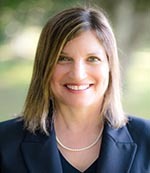 Sonya L. Salkin is a U.S Chapter 7 Panel Trustee in the Southern District of Florida. Ms. Salkin is highly regarded by the bankruptcy courts and the bankruptcy community. She has extensive experience operating businesses and liquidating their assets in the U.S. Bankruptcy Court system and is a member of the National Association of Bankruptcy Trustees. Ms. Salkin is also a bankruptcy attorney and understands all sides of the bankruptcy proceedings. I am the Chapter 7 Trustee for your bankruptcy filed in the Southern District of Florida. In a few weeks we will meet at your §341 Meeting of Creditors to review your financial affairs. At this meeting, you will be asked to verify the accuracy of your petition and schedules. In order to properly analyze your case, I am requesting that certain documents be provided to me at least 10 days prior to the scheduled §341 meeting. §341 required documentation checklist for personal debtors can be found here and for business debtors can be found here. In order to receive a discharge in bankruptcy, the debtor is required to attend a First Meeting of Creditors to be questioned by the Trustee and other parties in interest. These meetings are held in the Federal Courthouse located at 299 East Broward Boulevard, Room 411, in downtown Fort Lauderdale. Please be certain to read the Commencement Notice you received in the mail for specific details such as date, time, etc. No later than TEN (10) DAYS Prior to attending this hearing, the Trustee must receive all the documents on the §341 required documentation checklist via TrusteeCollaborative/BlueStylus. Non-compliance with supplying these documents will mean needless continuations of the meeting and perhaps the filing of Motions To Deny Discharge. All documents required for the §341 Meeting of Creditors must be uploaded to the Trustee. The Trustee does not accept documents via mail, e-mail, fax or otherwise. All documents required for the §341 Meeting of Creditors must be e-mailed to kristen@msbankrupt.com. The Trustee does not accept documents via mail, fax, or otherwise. 1. What documents should I provide the Trustee? Required documentation check lists can be found here for personal debtors and here for business debtors. If you pay child support or spousal support, a copy of the Debtor Support Obligation paperwork. * The Debtor Support Obligation worksheet can be found here. Failure to comply with the above may result in your case being dismissed. 2. Can I change the date of my §341 Meeting of Creditors? The Trustee only grants continuances in those cases where there is a medical emergency, illness, or death. Requests for a continuance should be directed to the Trustee's assistant at: sls@msbankrupt.com or 954-423-4469, along with documentation supporting the basis for the request, prior to the §341 Meeting of Creditors. 3. How do I file a proof of claim in a bankruptcy case? All cases, except corporations, are classified as a no asset case when they are filed, unless it is known at the time of filing that the case has assets to distribute by the Trustee. Once the Trustee determines that a case has assets to liquidate and distribute to creditors, the Trustee will notify the Bankruptcy Court to serve a Proof of Claim form on all creditors enumerated on the Court's mailing matrix supplied by the Debtor at the time of filing. If you did not receive a claim form from the Court, one can be obtained from the Court's Website.